Crystal Palace have released midfielder Andy Dorman by mutual consent. 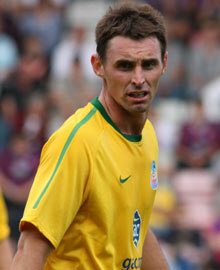 Dorman played 26 games for Palace since signing from St Mirren in 2010. The 30-year-old struggled to make an impact at Selhurst Park, and was loaned out to Bristol Rovers in November 2011, and remained there for the rest of the season. Dorman has warmed the bench a couple of times this season, but with the recent signing of Andre Moritz, the Scot realised that his time was up at Selhurst Park and his contract was terminated.